Chillingham Castle is quite simply not like any other castle/visitor attraction I have ever been to, anywhere. This is not a National Trust property (not that there’s anything wrong with the National Trust) but is very much someone’s home. 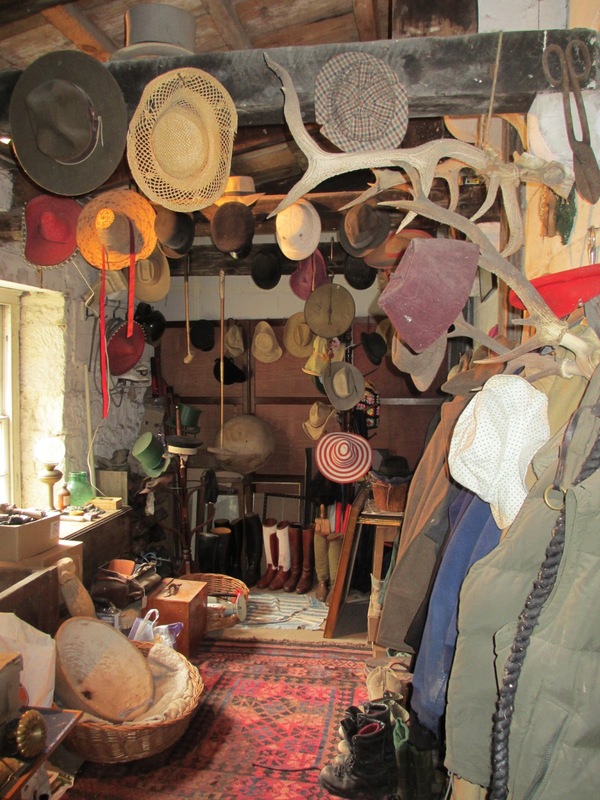 You are entering their eclectic environment with all the stuff and clutter and accoutrements of generations gone by laid around to touch and see. There are no glass cabinets and no ‘do not touch’ signs. Anywhere. Instead of nik naks and dull family photos at weddings though, there are tiger’s heads, dungeons with skeletons, ancient artifacts from around the world, antlers from the largest elk that ever lived, evidence of a Jame Bond life style and at least four, real, genuine ghosts. 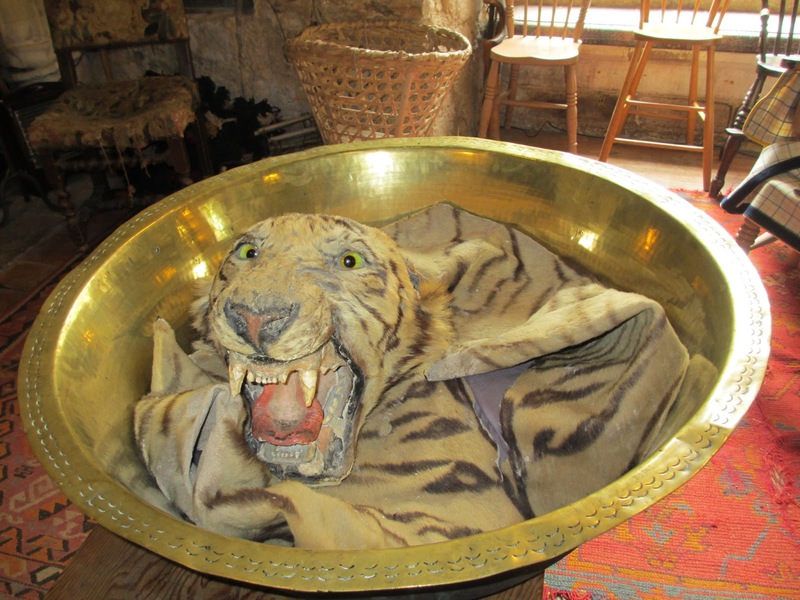 Waiter, there’s a tiger in my soup! At first a 12th century stronghold, Chillingham became a fully fortified Castle in 1344 with a turbulent history as it fought back the Scots from the English border. The family were made Dukes and Earls in their early warrior days and are mentioned in Shakespeare’s History plays. They were a part of the famous Grey family of Earl Grey tea fame.Of the many Grey commanding generals, eighteen were Knights of the Garter and royal appointments. On the down side, another eight of them were executed, invariably for high treason. 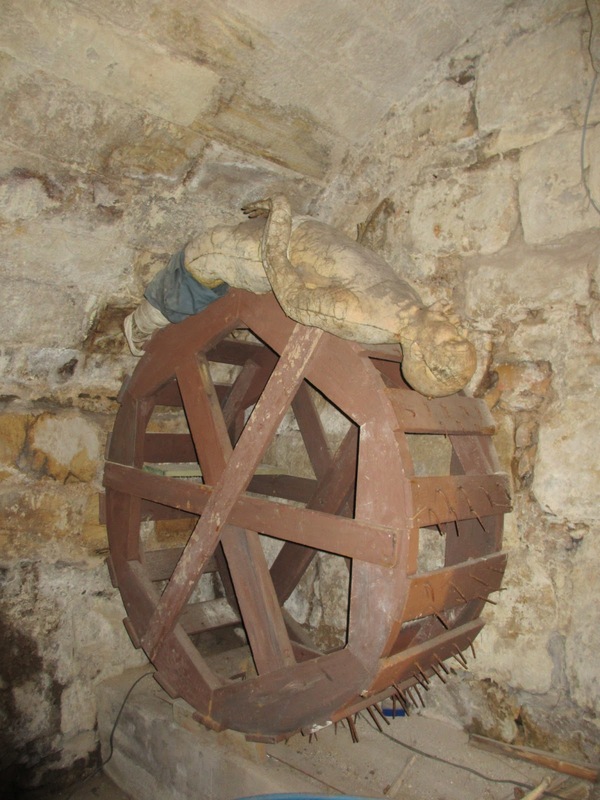 A visit to the torture chamber is not for the faint hearted. The guide told us that kids love it. Brought up on the award winning popular TV programme, Horrible Histories, they can be quite well informed on historical details apparently. However, their little faces change a bit when they realise that these things are real and that people really did do such nasty stuff to each other. One lady from the UAE (University of the Third Age) bus trip which was on a tour that afternoon said ‘Ooh they were so cruel weren’t they?’ With the stretching rack, the spiked wheel, the cage, the nailed barrel and the iron maiden, that is an understatement if ever there was one.. Chillingham’s guide, Ray, an avid local history fan, told us that a lot of torture happened here, as the Castle was often in the throes of battle and conflict in more violent times gone by. Thumb screws, chains, leg irons and man traps are gruesome reminders of man’s inhumanity to man at a time when life was cheap, and no one could get legal aid to help them invoke the European Human Rights Act. The castle dungeon still has the scratched marks that captives made on the stone wall trying to count the days of imprisonment and possibly the coming of freedom. A trap door in the vault reveals the very genuine bones of a child which were never buried. No wonder there are so many ghosts here. 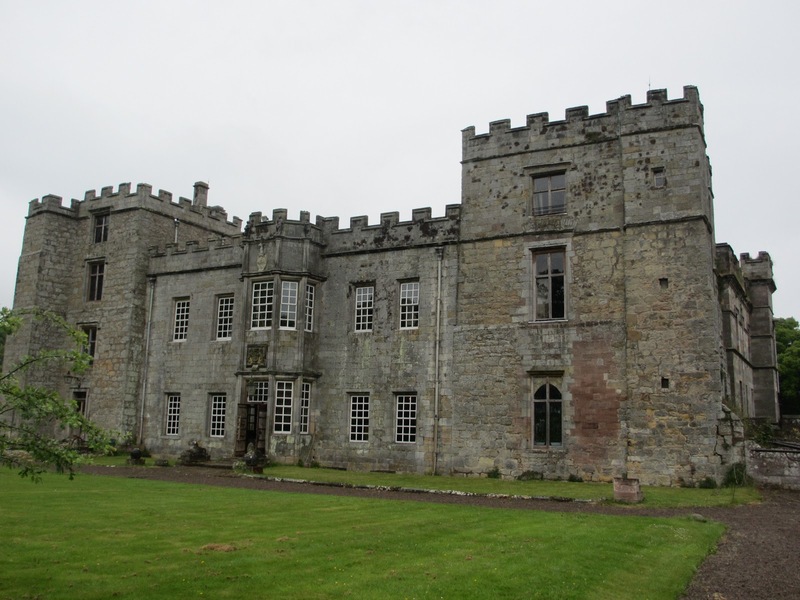 Ray said he heard a voice whisper to him the other day as he prepared to open up the minstrel’s gallery ‘This is my house!‘ The ghost is apparently a former lady of Chillingham castle whose husband ran off with her sister and appears quite regularly to visitors. Another episode saw a middle aged man drop heavily and unexpectedly to his knees in the great hall. Ray – trained in guiding procedures – prepared for heart attack first aid, but the man recovered himself, got back to his feet and said ‘Something just went right through me!’ Could have been the rhubarb crumble.. Yet another eccentric room is the ‘still’ room, dedicated to the Chillingham curse. Not unlike the curse of Tutan Khamun you can find a portrait of the Spanish witch who curses those who take anything from Chillingham uninvited, and some of the letters from those who did not heed the warning. They have brought whatever they stole back to the castle in an effort to shake off the bad luck that has followed them around ever since. 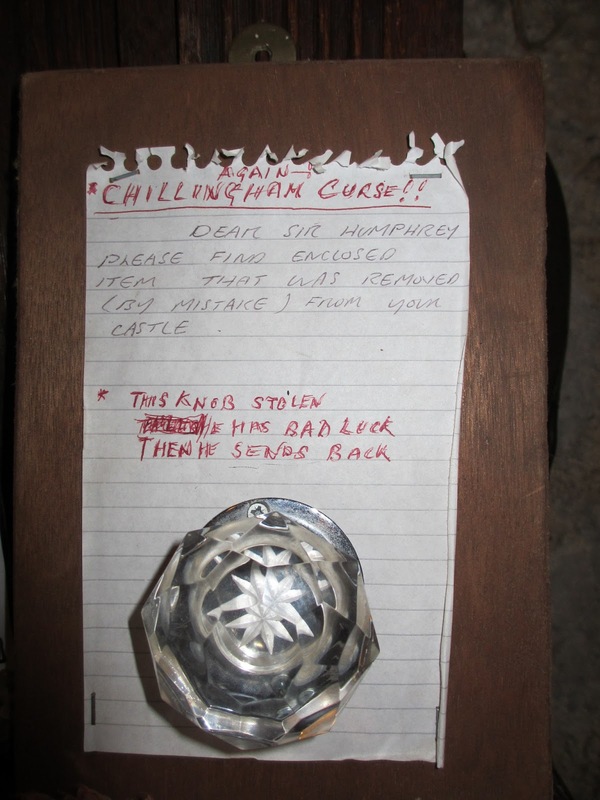 One letter reads ‘Dear Sir Humphrey, please find enclosed item that was removed by mistake from your castle.’ The item in question is a large door knob. It’s quite understandable that you could walk out of somewhere with a large doorknob by mistake, it could happen to anyone..
Sir Humphry has led a bit of a ‘Boy’s Own’ life, there’s no denying it, and his ancestors were great explorers and traveled all over the world. There are interesting photographs of Everest and a strking portrait of Sir Humphry’s great Uncle who made an early attempt on the summit, in 1922, dressed in only tweeds. 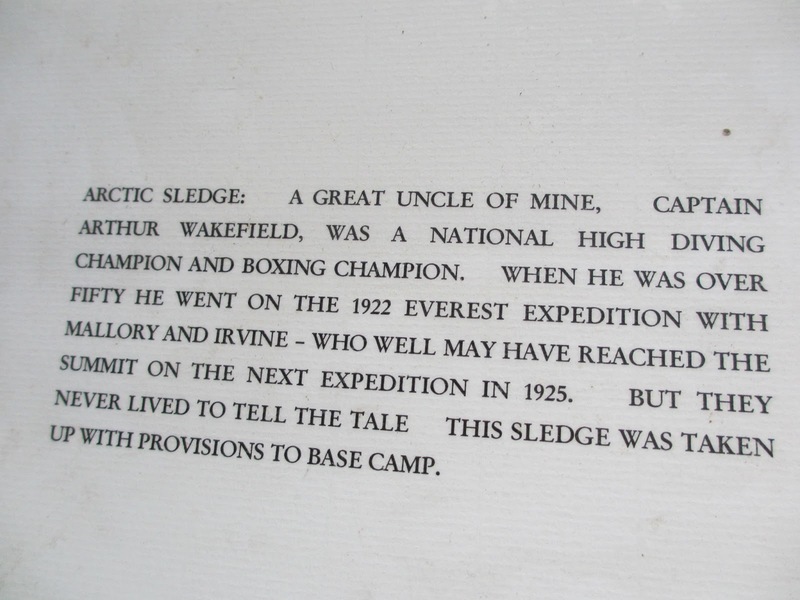 There is the great sled of the explorer Norman Vaughan, and photographs of the great man himself, and his dog harness too. Sir Humphry Wakefield’s family are originally from the Lake District and he came into the possession of Chillingham castle by buying it from his wife’s brother. The Hon. Lady Wakefield is the daughter of the former Lady Mary Grey from nearby Howick Hall (hence the Earl Grey connection), and she is directly descended from the historic Chillingham family line. Sir Humphry, educated at Gordonstoun and Cambridge University, was a Captain in the 10th Royal Hussars. A lifelong horseman, he has lived a life of travel, adventure and the Arts. He is President of the Northumbrian Mountain Rescue teams and Chairman of the international Wilderness Foundation. He is a Fellow of the prestigious American Morgan Library and of the British Royal Geographical Society. 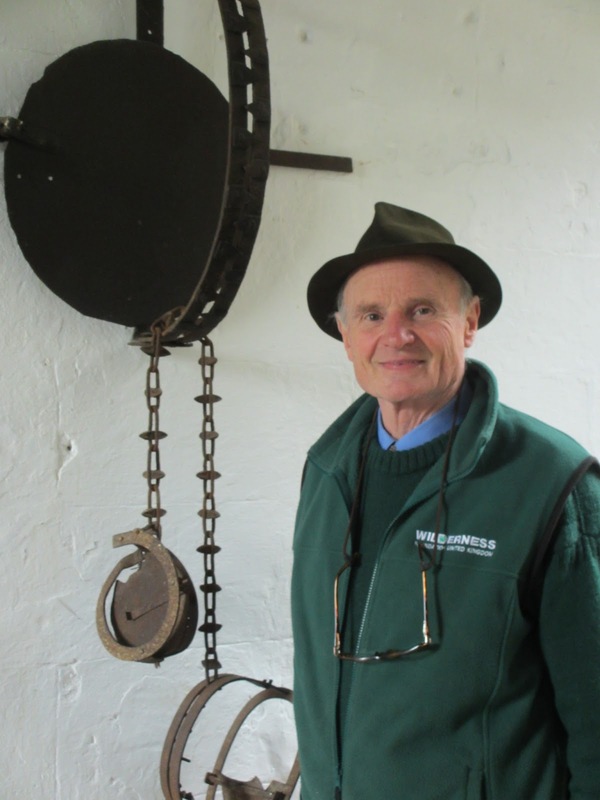 He has been described as a “Worker of Miracles” by the Daily Telegraph as his restorations with this castle and with other historic buildings have won many awards. Sir Humphry and the Hon. 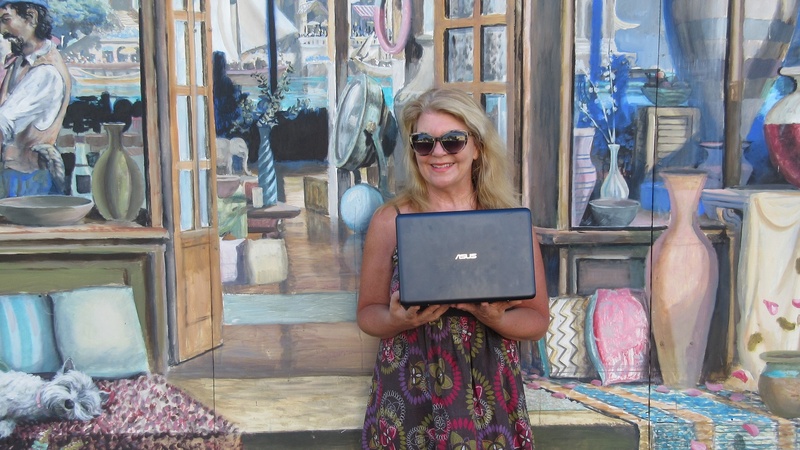 Lady Wakefield have two sons and a daughter who are frequent visitors along with their many friends. The eldest son Maximilian, an entrepreneur and racing driver, served as a Captain in the Hussars during the first Gulf War. Daughter Mary, a musician and painter, is also Assistant Editor of The Spectator, and younger son Jack is an art critic and dealer. Well, they were never going to work in a call centre now were they? 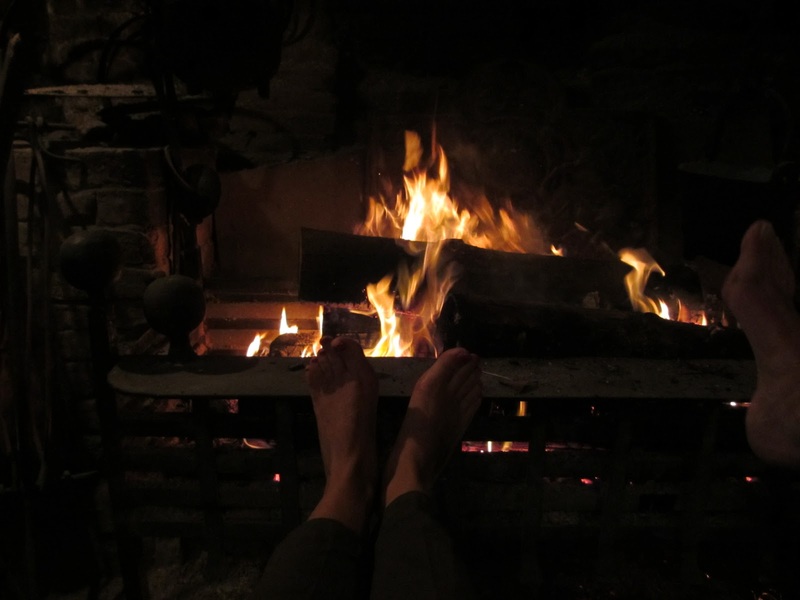 As we gave our toes a welcome warm at the giant log fire in the castle tea rooms, we mulled over this amazing place. ‘Does it ever get warm here?’ I enquired. It was June after all. ‘Not Really’ replied the tea room lady who had worked there for a mere forty six years. ‘What’s eccentric about us?’ said Sir Humphrey, in a way that only a true English Eccentric could ever carry off. I asked him for a photo. ‘Do you want me by the man trap,’ he said? ‘Or will anyone know what that is?’ ‘Perhaps by the saddles would be better?’ I felt a bit star struck really. A real live piece of English history was here before me, I went all Upstairs Downstairs.